As an HR professional or a personal assistant charged with organizing an employee’s relocation, you will appreciate professional assistance. You seek a professional approach in keeping with your own idea of efficiency, but you also seek the reassuring ‘personal touch’. Royal De Gruijter & Co. offers both. We are specialists able to offer a complete range of Expat Services. 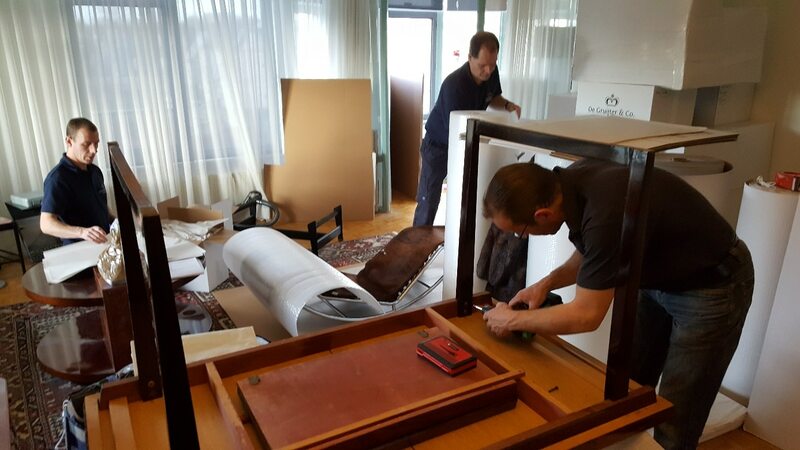 We can assist you in a single move, or we can offer all the convenience of a permanent partner who is always at your disposal. Moreover, we offer a seamless link to the complementary services of our sister company GRS-Relocation. In practice, all you have to do is tell us the destination. We will arrange everything on behalf of your employee and his family. He will be assigned a personal coordinator, a reliable contact person who is available at any time. The coordinator will oversee the entire relocation process, from initial planning to aftercare, doing so with professionalism and dedication. Efficient organization is assured. We used advanced software to coordinate the entire process, including track-and-trace technology that shows the exact location of transport vehicles at any given moment. This efficiency makes Royal De Gruijter & Co. a particularly attractive long-term partner for your company. Moving house is one thing. Resuming a ‘normal’ life in your new surroundings may demand a little more time and energy. Royal De Gruijter & Co. is able to help, getting you off to a ‘flying start’ in your new home. Relocation services are among our specialities. We work closely alongside our sister company GRS-Relocation to ensure that you can settle into your new surroundings as quickly as possible. GRS-Relocation consultants will point the way to the nearest shops, or arrange for you to join a local sports club. They can put you in touch with a building contractor, decorator or interior designer. They can submit visa and work permit applications on your behalf, or provide a list of suitable schools for your children. They can arrange language lessons and classes to familiarize you with the local culture. If you wish, they arrange for your new home to be furnished and equipped from top to bottom, and for your old home to be given a thorough cleaning. Furniture, household contents and vehicles can be placed in temporary storage virtually anywhere in the world. In short, Royal De Gruijter & Co. and its network offers a full range of services in keeping with your organization’s policy.